I was asked some time ago about which American movies am I excited about in the 2014. I paused, thought about it and I said “Whiplash”, “Birdman”, “Foxcatcher” and “Jupiter Ascending”. The last one has been pushed in 2015 but from that list I am most disappointed in the “Foxcatcher”. I was excited about it because I’m a sports fan and there have been many positive reviews of the film, some of them on the WordPress too. Channing Tatum, Mark Ruffalo and Steve Carrel seemed like a pretty good ensemble of actors for the story that needed to be told, even if the title of the book written by the main character was a spoiler by itself. Acting, however, was one aspect of the film I was not disappointed about. Steve Carrel as John du Pont was awesome, and in parts of the film I thought that he’s so drown in degeneracy of his character like the villain in superhero or horror film. Jack Torrance and Ledger’s Joker came to mind immediately. Mark Ruffalo was also very good in his performance as Dave Shultz, and knowing the title of the Mark’s book has only helped the character and an actor to feel sympathy for his continued effort to work in an unwelcome and surely unhealthy environment. Channing Tatum was much more present in the first half of the movie than he is in the second. Somehow, focus shifted. Brothers were in the centerpiece of the puzzle. Carell was spoiled kid with a misplaced part who just wanted to “smash it all” to use the language of the other character Ruffalo brought to the screen. Positives don’t end there. Story about two wrestlers, heroes of the nation consumed by Cold war, was one thing. Story about two people so utterly different and human under the layers of success was another. Character differences between brothers were obvious from the beginning but Du Pont thrives from them, exploiting younger brother complex to the limit. I had associations of “Wolf of the Wall Street” in some moments of the film. Wickedness and egocentric approach of Du Pont was in my mind paralleled with one of Jordan Belfort in that film. 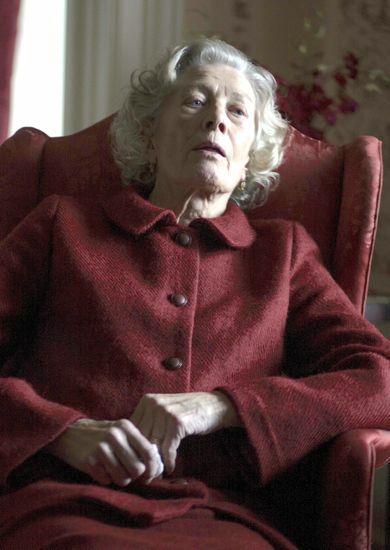 Vanessa Redgrave is also worth of a mention for her role of Du Pont’s mother because she was some kind of glue that kept pieces of his character from falling apart. Her character was also, very possibly, the cause of John Du Pont’s complexes in the first place. Maybe the film is too long, as some critics suggest, but then it should’ve been rewritten to achieve dramatic conflicts needed for the conclusion. In this cut it seems like Du Pont killed Dave out of the blue. Pity… Maybe director’s cut of this movie will be a masterpiece but this version for sure – isn’t . Previous Post LIFE ITSELF (2014. )… FOR THE LOVE OF MOVIES….